Fast food joints are introducing better-for-you burgers, burritos, and more as they work to keep up with current food trends. Low fat, low sodium, organic, antibiotic-free, no GMOs — these, and more like them, are the buzzwords of the food industry. As health food has become the go-to trend, it's no surprise that brands known for less-healthy fare are making efforts to keep up. While major food retailers such as Walmart are now offering wider selections of organic food, this trend toward healthier eats has hit fast food restaurants hardest. Showing calorie counts on menus — which McDonald's started doing across the country in 2012, in advance of federal regulations requiring it — hasn't helped these chains, either, as it's now obvious that a single meal can account for an entire day's worth of calories. So it's no surprise that these chains are looking to improve their reputation for quality food. McDonald's has been struggling, with a drop in profits of about 30% in the first quarter of the year. Customer satisfaction is down, too. The ubiquitous chain came in last in a 2015 restaurant report by the American Customer Satisfaction Index, alongside other classic fast-food retailers including Burger King and Wendy's. Topping the list? Brands focused on healthier fare, such as Chipotle and Panera Bread. Read on to find out how fast food chains are changing to compete, as well as 10 healthier options you can order the next time you're at a fast food drive-thru. So How Are Fast Food Chains Trying to Go Healthy? Fast food chains aren't just sitting idle while healthier restaurants fight to overtake them. Every chain seems to be working on expanding their offerings to include low-calorie and other better-for-you options — even as healthier chains aim to get even healthier. Chick-fil-A announced that its chicken supply is going antibiotic-free by 2019, a move McDonald's followed by saying it would limit its antibiotic use in chickens. Much of Panera Bread's meat is already antibiotic-free. Taco Bell and Pizza Hut are removing artificial flavors and colors from their food, a change that affects more than 95% of Taco Bell's menu. Panera plans on making a similar move. McDonald's, Taco Bell, and Panera are all planning to serve cage-free eggs. Chipotle has removed all genetically modified ingredients from the menu. Thus, many chains are catering to the consumer demand for foods that are better for them. With fast food restaurants making changes, it's possible to eat healthy (or at least healthy-ish) if you're on the go — and even if McDonald's is your only option. Here are 10 menu items that won't break the (calorie) bank. What's the Deal? 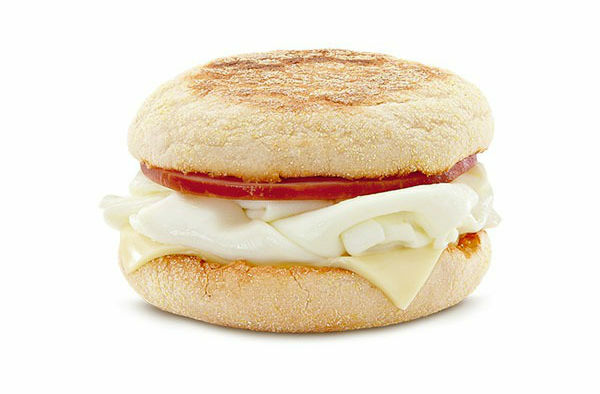 : McDonald's has started offering egg white options for a lot of its breakfast menu, which cuts down on the calorie count significantly. This Canadian bacon, egg white, and cheese breakfast sandwich clocks in at 250 calories and 7 grams of fat, compared to the regular Egg McMuffin with 300 calories and 12 grams of fat. What's the Deal? : You're probably not going to Dunkin' Donuts looking for healthy food, but the chain's DDSMART options offer reasonable-calorie fare. This sandwich features egg whites, veggies, and reduced-fat cheddar cheese. What's the Deal? 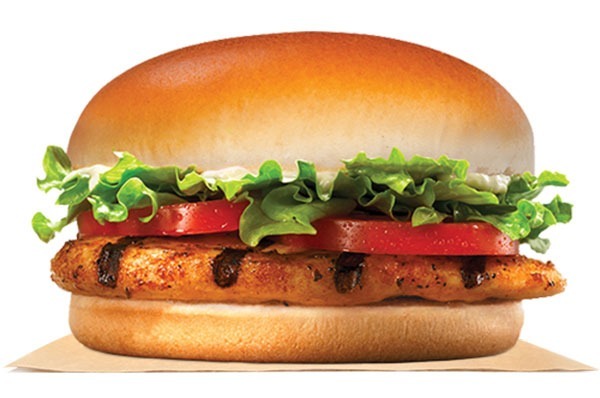 : Grilled chicken is almost always a good option at fast food joints, and in this case, skipping the mayo shaves 110 calories and 12 grams of fat off the sandwich. What's the Deal? : A vegetarian burger at a fast food joint? It's true. 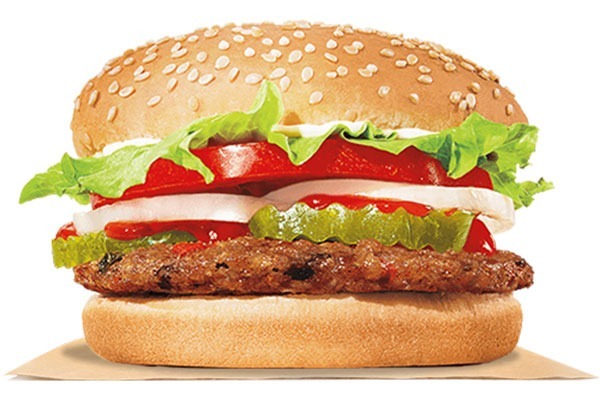 This is basically the same as Burger King's classic Whopper, but with almost half the calories. Again, skip the mayo if you're looking to be calorie-conscious. What's the Deal? 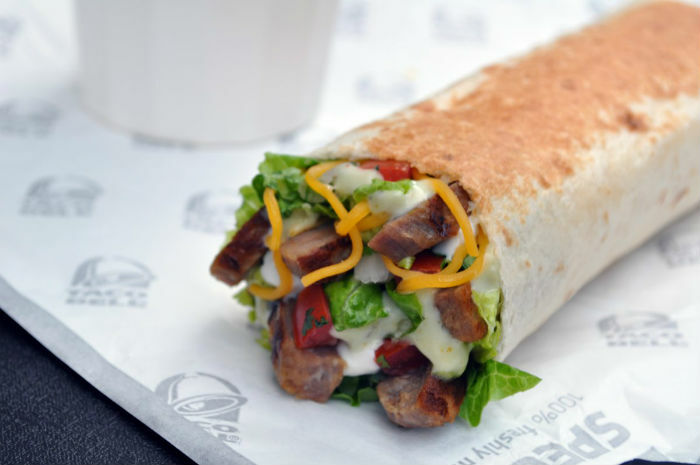 : Wraps are an increasingly common option at a lot of fast food restaurants. With tomato, cucumber, romaine, spinach, and even kale, this one has more veggies than your average fast food meal. What's the Deal? : Grilled chicken, cheese, and veggies topped with salsa instead of a high-calorie dressing make this almost certainly your best option on the Jack in the Box menu. What's the Deal? 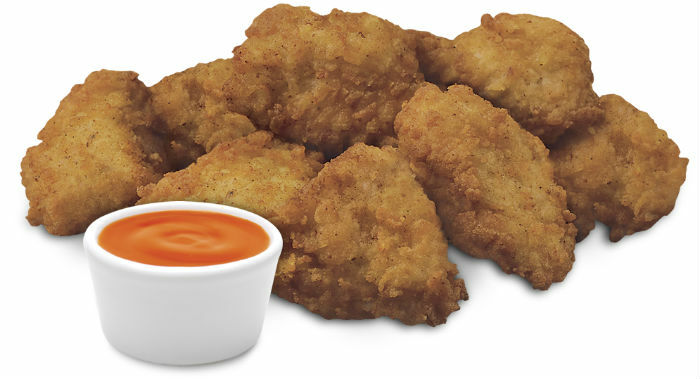 : OK, this isn't the healthiest option on this list by far, but if you're going to Chick-fil-A, it's likely what you're after — and this moderate order of nuggets isn't a terrible option at 270 calories. Watch out for Chick-fil-A's equally popular fries, though, as even a small order will add 310 calories to your meal. What's the Deal? : You might go to Starbucks hoping for a muffin or other baked good, but the company has been offering healthier fare, too. 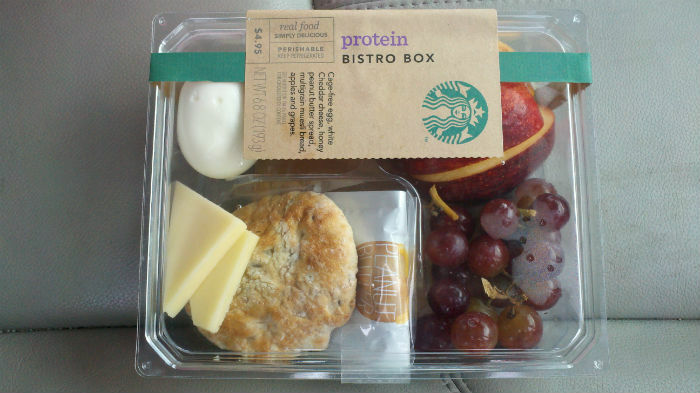 Most of its bistro boxes are good (health) deals, with a moderate amount of calories and reasonably low sodium. Just watch out for the coffee drinks you have on the side, as the sugar and cream in them definitely add up. Skipping the Frappuccino and getting a plain coffee isn't a bad idea. What's the Deal? : Taco Bell's menu isn't terrible, caloriewise, but the trouble is that you never really order just one taco — many combos have three items or more, meaning they tend to run nearly 600 calories or more. This burrito still isn't exactly a pro-health option, but the calories aren't out of control (470) and it has plenty of protein (28 grams), so you won't be tempted by more taco goodness. Order it (or anything else) at Taco Bell "fresco" style to replace cheese and sour cream with lower-calorie pico de gallo. What's the Deal? : You might notice that this is the only salad on this list. Why? 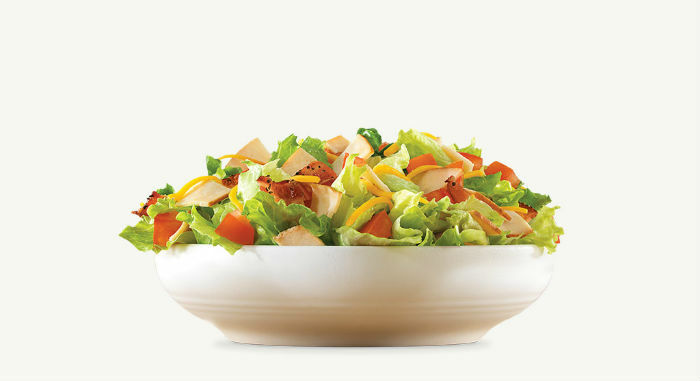 Because a lot of fast food salads don't do that great, caloriewise, because they're piled with toppings like fried chicken, bacon, and high-calorie dressings. Low-calorie turkey and no dressing make this a good choice (even if it does have bacon). 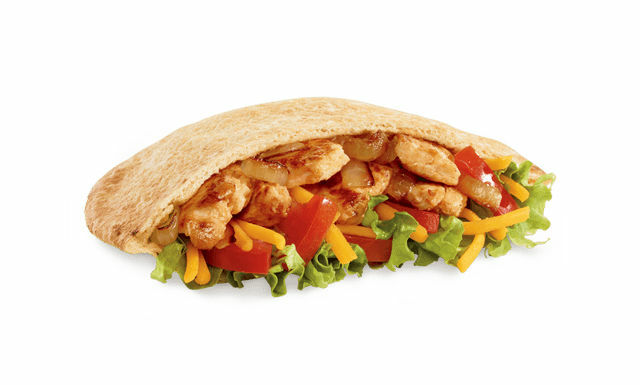 Readers, what are your go-to healthy (or healthy-ish) fast food items? Do you like that fast food chains are trying to offer healthier fare? Let us know in the comments below! More Fast Food Places Now Offer Preorders: Does it Save Time? Mcdonalds chicken wraps are great but in st louis they stopped selling them. This has caused me to not go there. It is sad that a company would dump a healthish product even if they are losing money on it. 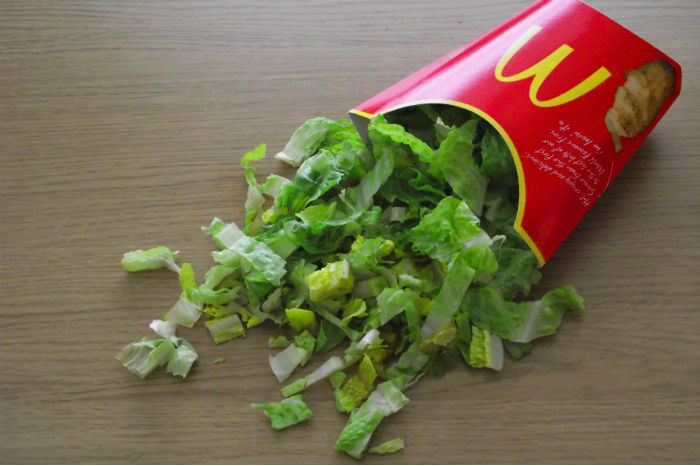 This proves that te fast food industry has interest in trying to be healthy. The grilled chicken at Chick-Fil-A is gross. It's slimy and just odd tasting. Definitely stick to the fried stuff if you're getting chicken at Chick-Fil-A. 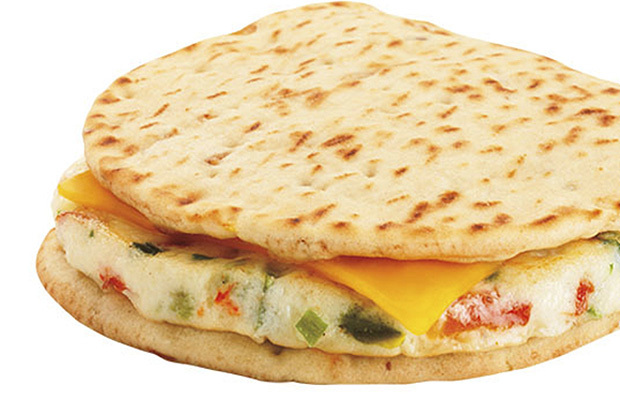 I've tried the Dunkin Donuts Egg White Flatbread. I wouldn't say it was delicious, but decent for what I was looking for at the time (a quick/lame attempt to be healthy whilst traveling). I'll stick to their unhealthier bacon, egg, and cheese croissants. 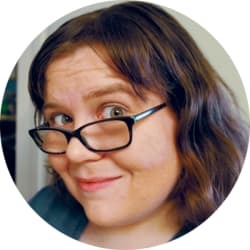 @XISMZERO - Yes, we can, indeed, fry all of these. I second on the grilled chicken nuggets. If I need a quick fix and don't feel very hungry, those are a good go-to item. How about a type 2 diabetes friendly list? Most of the items on this list have too much bread, or rice. No MSG in McD's, probably not found is any other large restaurant chain. Cantina Power Burrito Fresco is my current favorite at Taco Bell. Good food can be found at most fast food places. Not everyone can cook all of their meals, some of us have to work. Just saying. And yet almost all of them still put MSG in most of their food. Chik-fil-a has grilled chicken nuggets (and sandwiches) that are goooood... and I would think healthier? 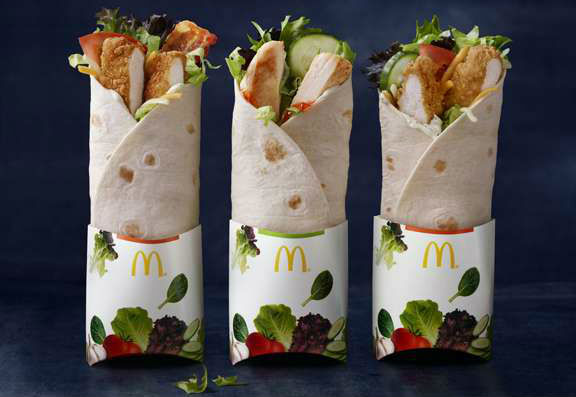 I was committed to the healthy choice of the McDonalds chicken wraps -- until they DISCONTINUED it! No more MickyD's for me!